The Prism shower valve has a beautiful and new age modern design. Brass construction provides superior durability and conforms to BS EN 248 standards. This amazing valve trim includes lots of features and is suitable for all plumbing systems, an amazing addition to any bathroom. Factory set to a maximum of 43oC to eliminate the ability to select an unsafe temperature - this can be manually over-ridden up to 46 oC to suit user preference. 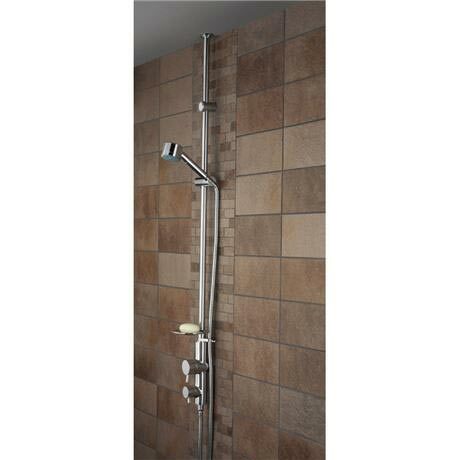 Shower can be fitted directly to solid walls, or pre-tiled wall. Shower is ceiling fed and cold water feed encases hot to prevent riser from getting hot.